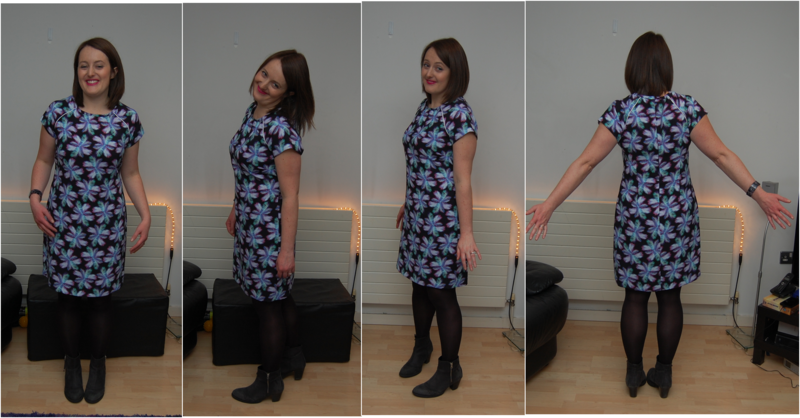 I originally mooted the idea for this dress last April. 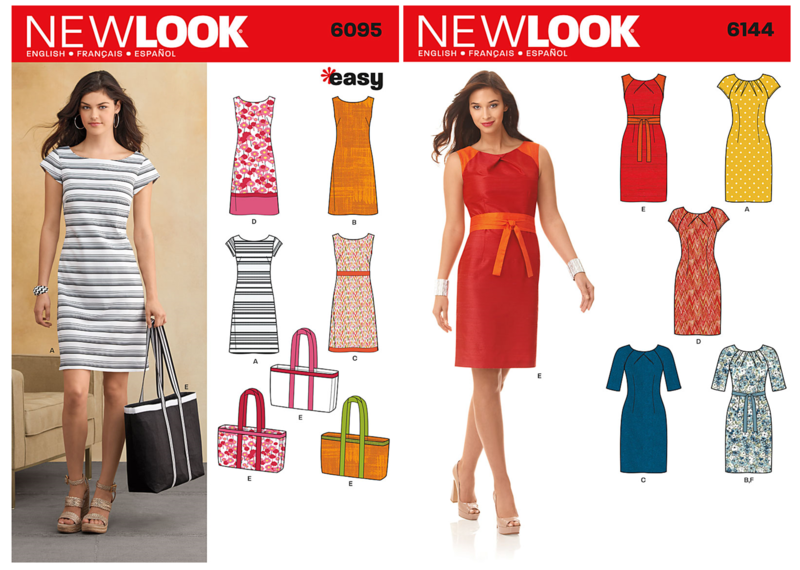 The dress is a mash-up of two patterns (New Look 6144 and 6095) and while I really do like the end result, going off-pattern always takes me a LOT longer. The piping was a really satisfying thing to do. 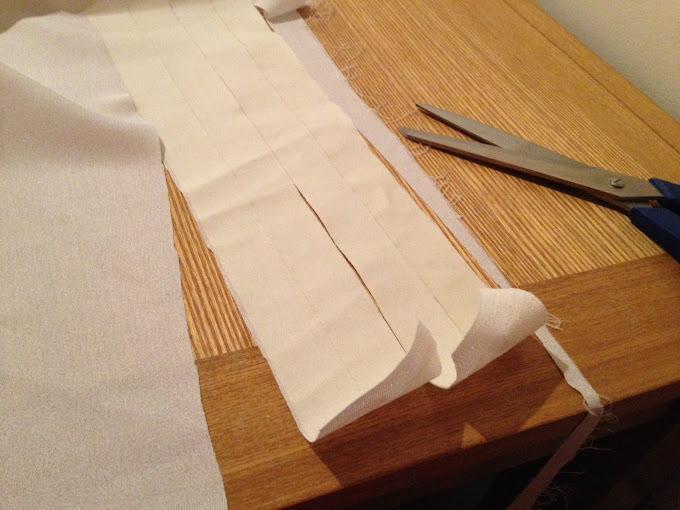 I also learned a great tip on the By Hand London blog about using masking tape to cut strips of fabric. 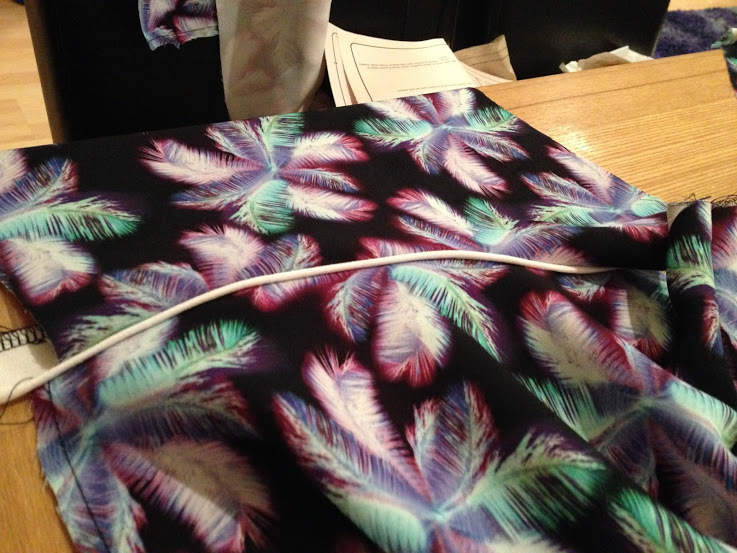 So handy, particularly for fabric like this that slips around. Behold. 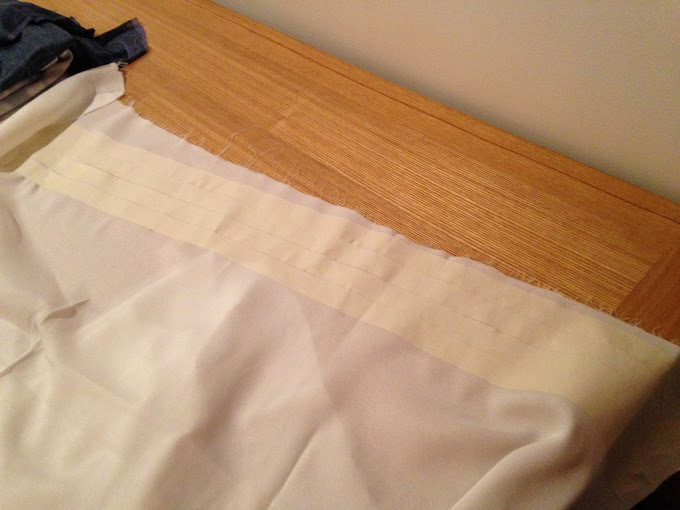 Step 1: Stick as many long strips of masking tape on to your fabric of choice as you need strips of fabric (I went two strips deep for the piping tube). 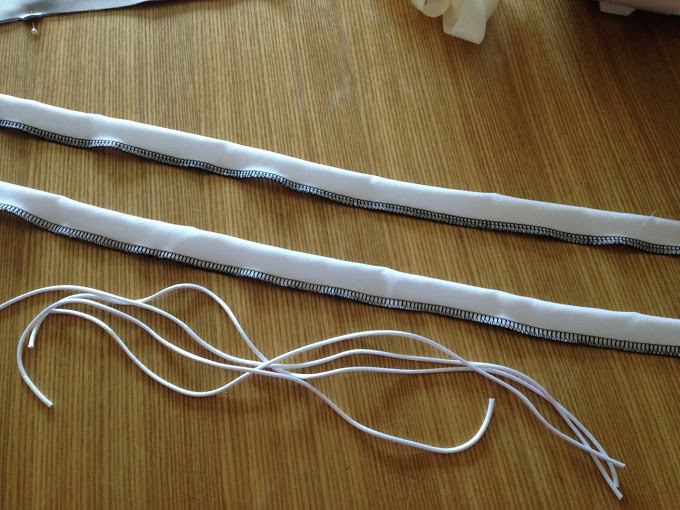 So to do the piping I sewed along the seam after placing cord (purchased in WM Trimmings) along the length of it. Then I sewed to one side of the shoulder seam before joining it up together using a zipper foot to get a close seam (I can confirm that doing it all in one sandwich type effort without stitching to one side did NOT lead to a slick looking bit of piping!). For the neckline I made a band cut on the bias of the fabric approx 2″ shorter than the neckline to stop it from sticking out. This took several goes to get right and a LOT of Sewing Tourettes. After all that it was easy – only took a mere 6 weeks to finish it all in all. I love the dress. 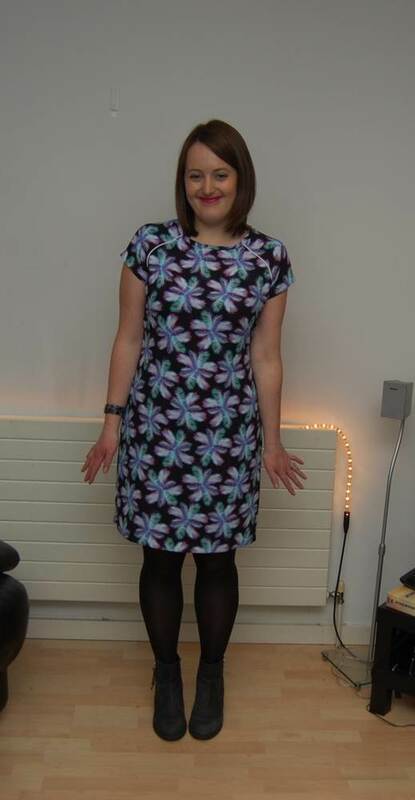 Kiiiind of regret not matching the pattern at the back but hey, I can’t see that most of the time! Check out the moves. Thinking of taking up this posing stuff full time. Must. Suppress. Sarcastic. Expression. 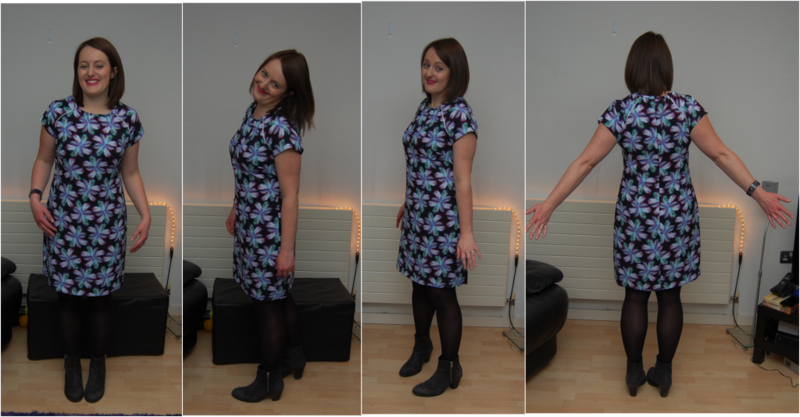 This entry was posted in Labour of love, New Look, Off pattern adventures, Paris, Uncategorized and tagged New Look by Aoife. Bookmark the permalink.